* When your skin is moisturised, that's the best time to spritz on perfume as this encourages the skin to retain the scent better. Ideally, use fragrant oils on the body as they will retain their essence for much longer. * Be selective in choosing your base, mid and top notes of the perfume. 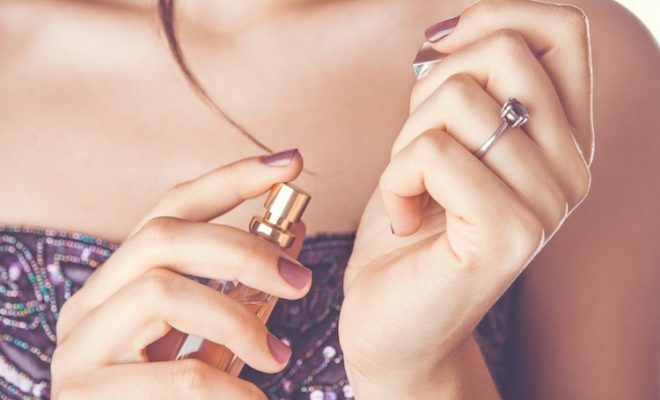 Opt for an eau de parfum rather than eau de toilette. The former contains a higher concentration of oils that will not only last longer and will stay true to its original composition of note. * The finest ways for an overall touch to your personality, apply the fragrance to your hair and they carry fragrance for a very long time. But this should not be a regular habit. Also, do not apply it directly as perfumes has alcohol which might damage your hair. The first is to spray your perfume into the air and walk through it. This will more lightly scent your locks but also help prevent damage from alcohol.